Album: You’re Gonna Get It! 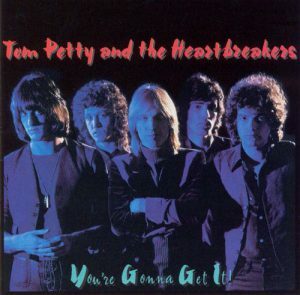 Damn The Torpedoes has always been Tom Petty’s Certified Classic Album (along with Full Moon Fever), and Hard Promises has always been my official Favorite Tom Petty record, but secretly it might just be his second album, the eternally underrated You’re Gonna Get It!. There was a tweet that flew by me during all of the initial confusion surrounding Petty’s death (and I’m paraphrasing here) that Tom Petty had never gotten his “indie reappraisal” in the same way that contemporaries like Bruce Springsteen or David Bowie had. Well, if it’s ever going to happen, You’re Gonna Get It! is the place to start.